But I was unsure about visiting a concentration camp. 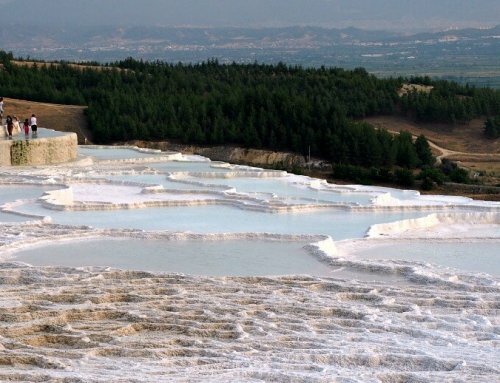 I didn’t want to be surrounded by the horror and suffering of such a place. It would make me feel crap and what would be the point of that? 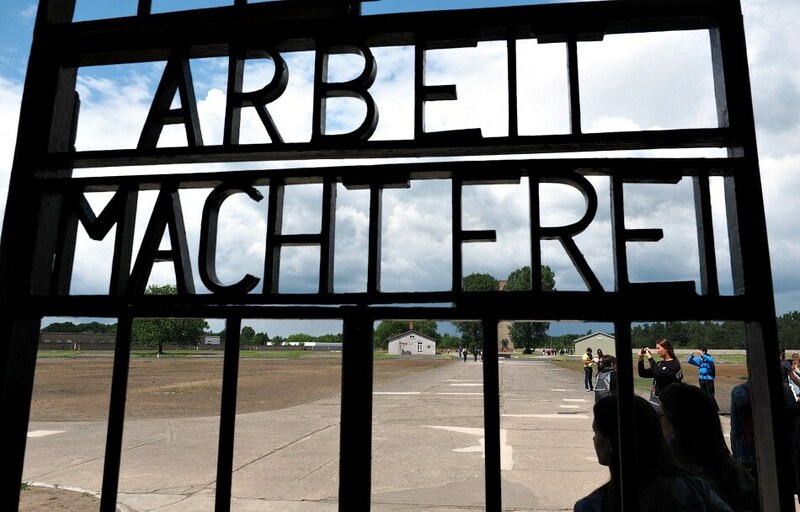 How can my visiting Sachsenhausen change anything? All it would do is make me feel bad. But Andrew wanted to go, and so I thought about it for a while. And I realised I was thinking about myself and how I would feel. The souls who not only lost their lives but were tortured, degraded and dehumanised in unspeakable ways. It’s about how they felt. It’s about recognising and acknowledging what happened to them. People will not look forward to posterity, who never look backward to their ancestors – Edmund Burke. And so we went to Sachsenhausen Concentration Camp on an appropriately dark and stormy day. I can’t say I “enjoyed” it. How can you use such a word when talking about visiting a concentration camp? But it was educational, jaw-droppingly shocking, horror-inducing and exhausting. 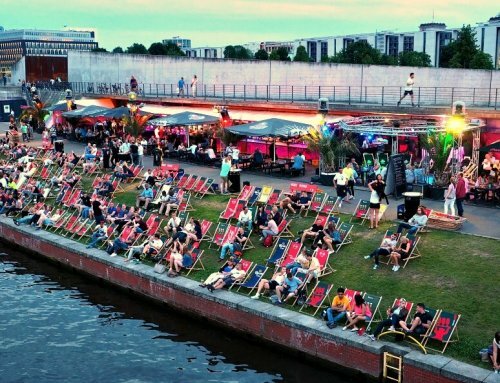 And if you’re in Berlin it’s something you must do and I was glad we added it to our itinerary. Concentration camps were built before WWII by the Germans to hold political prisoners. Their main purpose was to isolate, interrogate and punish people who were a threat to the state. 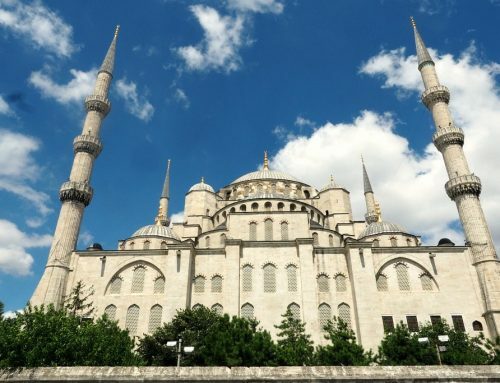 They were intended to be places of oppression, not extermination centres – that came later. Prisoners in concentration camps were used as forced labour and were set strenuous tasks under brutal conditions. Cruel medical experiments were also carried out in the camps. Most people who were subjected to the experiments either died or were permanently disabled. Extermination camps were established after the war began and were located in Nazi-occupied Poland. Some extermination camps were built in remote areas with the express purpose of murdering Jews. Virtually all Jewish people who came to these camps were dead within a few hours of arriving. Those few who didn’t die were put to work. Tasks included sorting and processing the belongings of the people arriving at the camp as well as heavy manual labour. 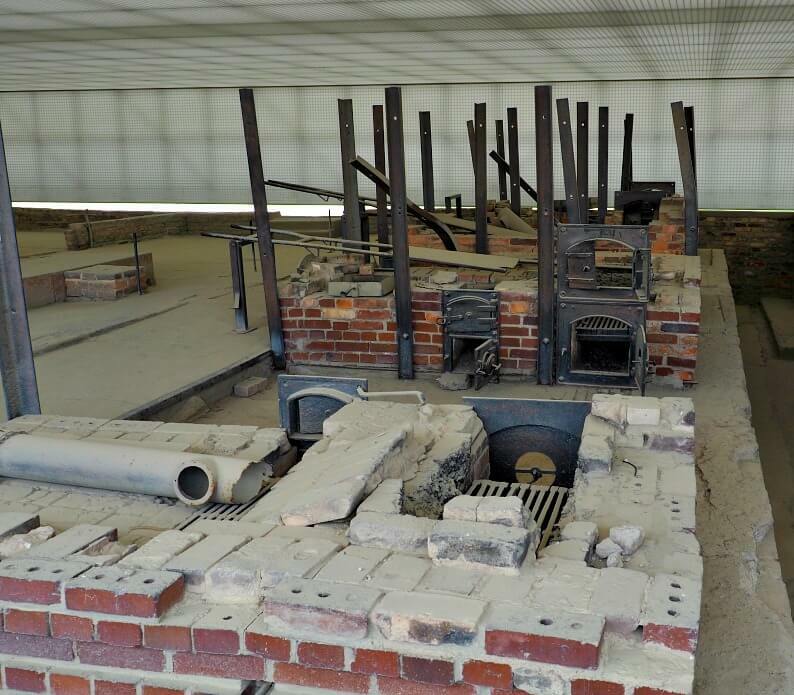 Horrifically, some prisoners were forced to work in the gas chambers and crematoriums. Most of the people chosen for any kind of work would die from disease, starvation or exhaustion within a few weeks or months. Of course, many people died in concentration camps too. And prisoners were routinely tortured and subjected to brutal punishments. The phrase “Arbeit Macht Frei” was placed at the entrance of many concentration camps. Sachsenhausen was built in 1933 using forced labour and was never intended to be used as an extermination camp. It was meant to set the standard in both the design of concentration camps and the treatment of prisoners. The camp was laid out in the shape of an equilateral triangle. The prison buildings were grouped around a central guard’s tower with the machine gun post at the entrance gate dominating the camp. Later it became necessary to add additional watchtowers to the perimeter. When we entered the camp we were struck by how barren and desolate it is. But we were told this is a false impression as most of the prisoner barracks have been demolished. The rectangular areas of grey gravel are where the buildings once stood and the grounds would have been overcrowded with prisoners. 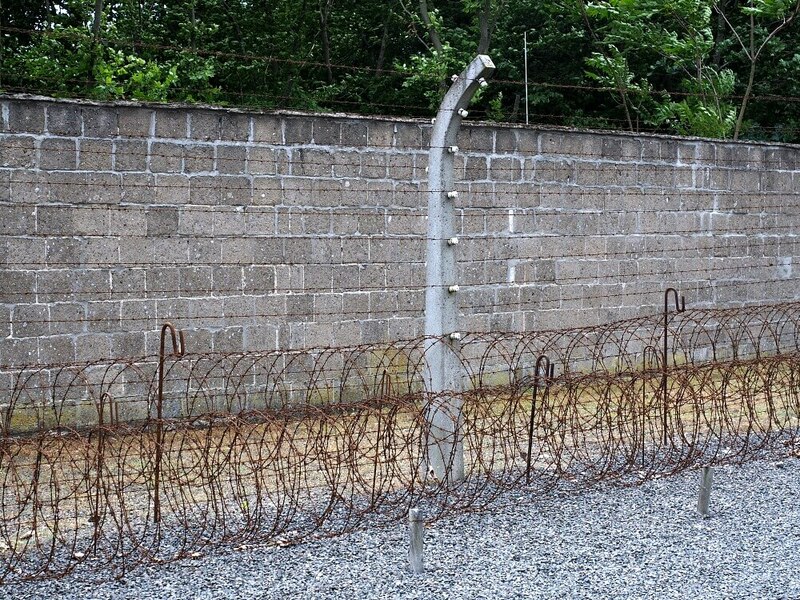 There was a three-metre high wall around the perimeter of the prison. Inside of that was a path patrolled by guards and dogs. Any prisoner entering this area would be shot without warning. We were told of a prison guard who took a dislike to one particular prisoner. Just for kicks, he threw the prisoner’s hat into the death strip. The prisoner was then beaten until he agreed to run into the strip to retrieve it. Of course, he was shot dead by the tower guard. The camp was very secure and there were few successful escapes. Any prisoners caught attempting to escape were publicly hanged in front of the other inmates. 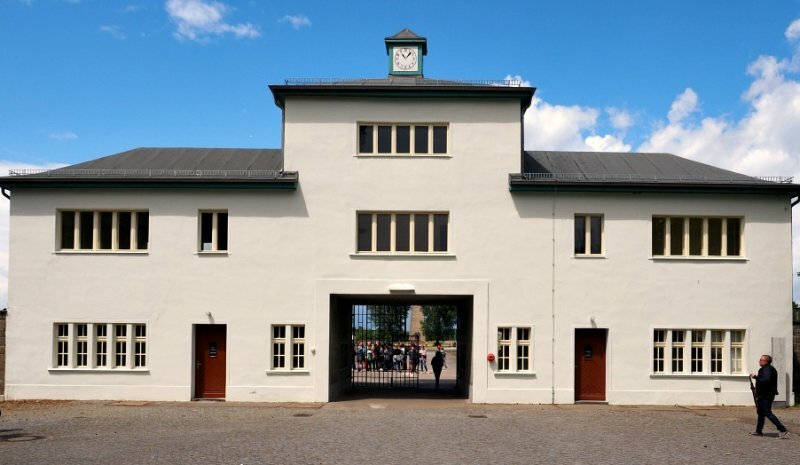 When the camp was first built, Sachsenhausen was designed to hold 10,000 prisoners, but by 1945 it housed over 50,000. Conditions were unbearable and many prisoners died from starvation, disease and lack of medical care. Seriously ill prisoners were executed or transferred to other camps to die. Prisoners slept in broken down, leaking barracks crammed into tiny bunks. Blankets were a luxury few possessed and many slept on the floor. Despite the massive increase in prisoner numbers sanitation facilities remained the same. Prisoners were only able to use the bathrooms for a few minutes a day. 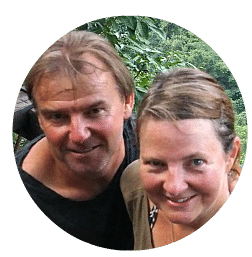 Lice, infectious skin diseases and open wounds were rife throughout the camp. The treatment of prisoners was horrendous, torture, starvation and other forms of mistreatment were commonplace. 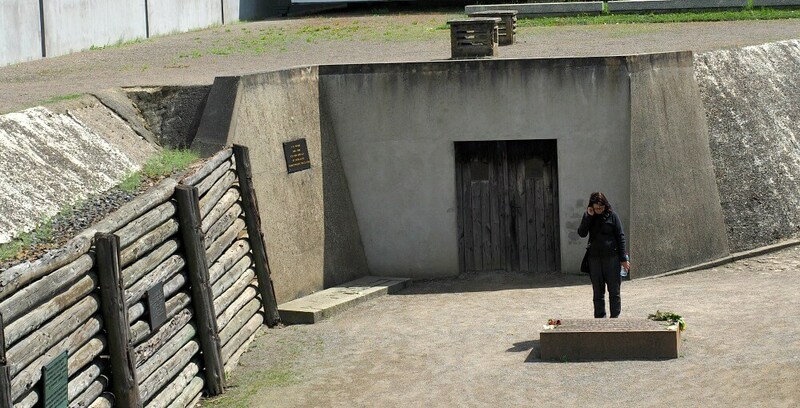 A popular punishment was the “Sachsenhausen salute” – squatting with your arms outstretched in front. Prisoners were made to stay like this for up to eight hours. Prisoners were also forced to march around the roll call area over different surfaces to test military footwear. Weak and malnourished they were made to walk between twenty-five and forty kilometres a day. 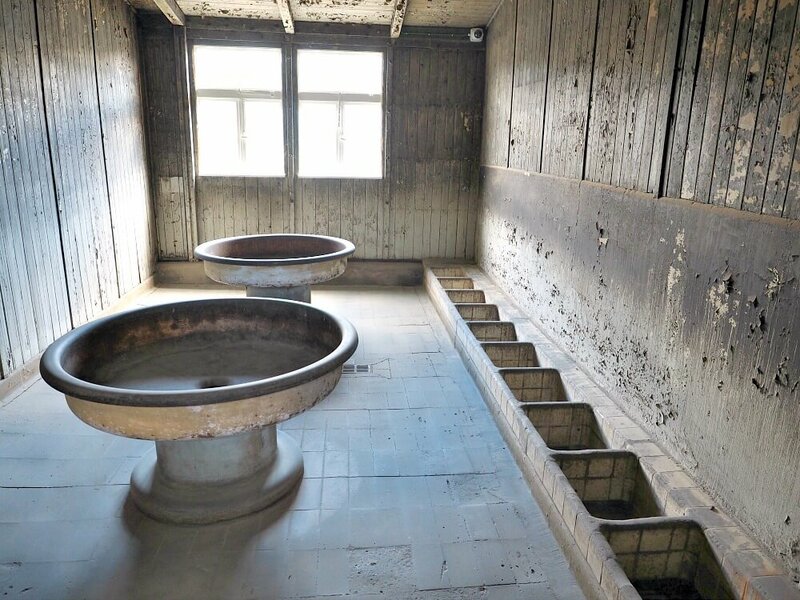 The hospital was used for medical experiments – not for treating the sick. Experiments included: sterilisation and castration, cold water submersion and the effects of mustard gas and other toxic chemicals on the body. Other tests involved hepatitis, infectious material and the trial of a performance-enhancing drug cocktail for the armed forces. It’s not known how many prisoners were subjected to these experiments. Many people died from them. Others were left with horrific deformities and disabilities. 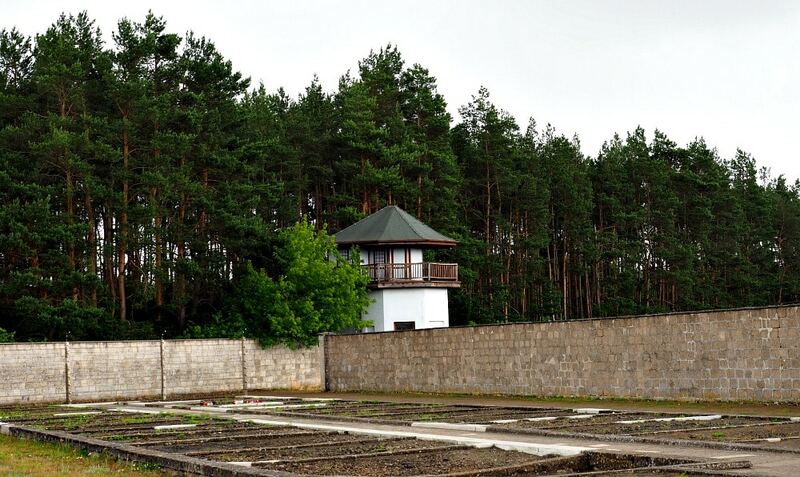 It’s been estimated that 100,000 people died in Sachsenhausen – either through disease and neglect or murder. The roll-call area was equipped with gallows and there was a gas chamber for killing small groups of people. However, shooting was the preferred method of killing. A shallow trench measuring only thirty feet was built for this purpose. Prisoners were either shot by guards standing over the trench or lined up against a wall and killed by firing squad. Their bodies were then dragged into a small room to the side and left there until they were taken for cremation. What really made me sick was learning what they did with the ash. There was so much of it – and always looking for a quick buck – the Germans sold it to local construction companies to make concrete. In the final days of the war, 33,000 prisoners and their SS guards evacuated Sachsenhausen on foot. Three thousand prisoners thought to be too sick and weak to travel were left behind to die. Less than a week later those same prisoners were liberated by the Russian Army. Sadly, despite proper medical treatment three hundred of them died. Visiting Sachsenhausen was haunting and emotional. To stand on the ground where so many people faced evil every day is humbling. 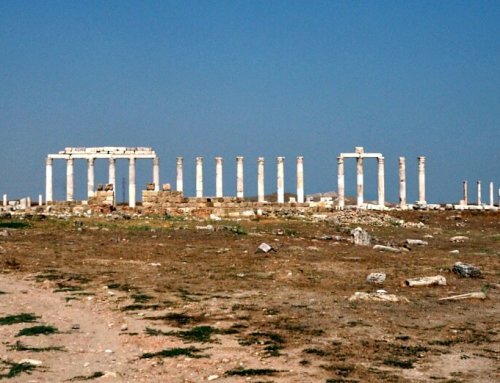 It sounds trite, but now more than ever we need to remember our world history. And not repeat the mistakes of the past. 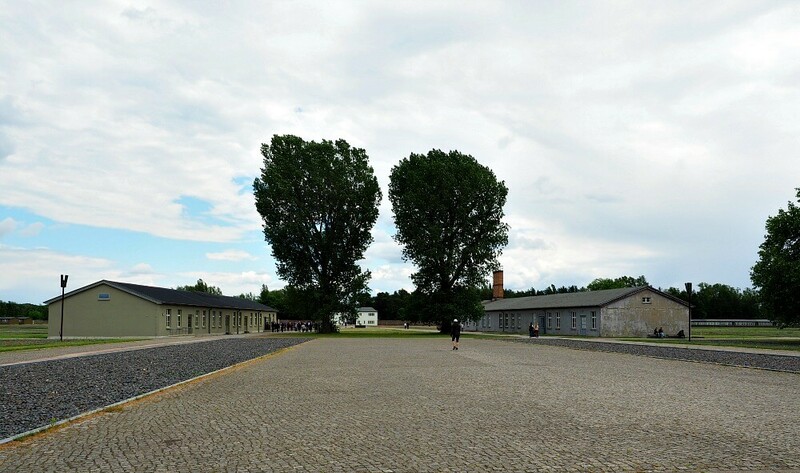 It’s possible to visit Sachsenhausen on your own but we recommend taking a day tour. The stories our guide told brought a shocking reality to the ghost-like quality of the camp. 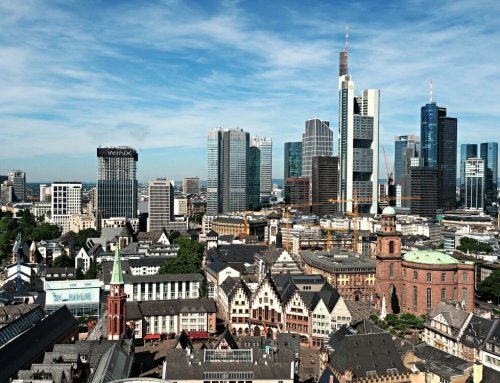 Take the ‘S1″ train from Berlin to the Oranienburg central station. Make sure you buy a ticket that covers the outer zone and check what time the last train leaves. You can catch a bus from the train station to Sachsenhausen but it’s infrequent and most likely you’ll have to walk. It takes about twenty minutes and there are signs to show you the way. We chose to do a Sandemans Sachsenhausen Camp Tour Berlin as we were happy with the free walking tour we did with them. You need to buy your train ticket before the tour. There’s no shelter at Sachsenhausen at all. Check the weather and bring an umbrella, sunscreen etc. You need to be able to stand for extended periods as there’s nowhere to sit. We ended up sitting on the ground a couple of times. There’s a lot of walking on this tour and little downtime. If you have a disability or chronic illness we recommend contacting your tour company in advance. How do you feel about visiting concentration camps? Let us know by commenting below.